Elementary school graduation is one of many great triumphs and deserves to be celebrated in style. 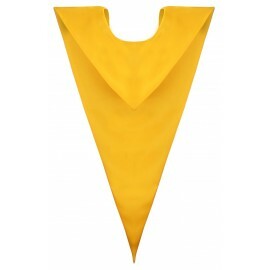 Gradshop.com provides a colorful range of V-Stoles for your elementary school graduation. The planning and preparation for this ceremony calls for special recognition especially when you have achieved an honors title; your elementary school ceremony may require the addition of V Stoles in addition the traditional elementary school cap, gown, and tassel ensemble. We offer them in the most popular colors of red, white, blue, and gold! 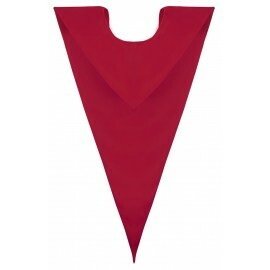 The V-Stoles slip on over the elementary student’s head and it has a short pointed front and an elongated pointed pennant style in the back. Our V-Stoles are made with high quality bridal satin, fully lined throughout, and measures at 6” long in the front and 14.5” in the back. With elementary graduation around the corner, you should get ahead of the game with Gradshop.com. 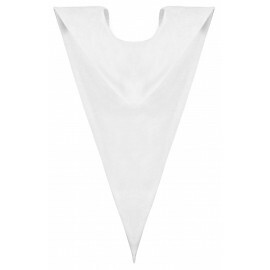 Find peace in knowing that you are receiving V Stoles made from top of the line high quality bridal satin material with superior craftsmanship. The pricing is further brought down when these are bought in bulk. We have now made it so simple to buy on-line or via fax. Get in touch with us right now!